BACK ON MARKET DUE TO SELLER CONTIGENCY! 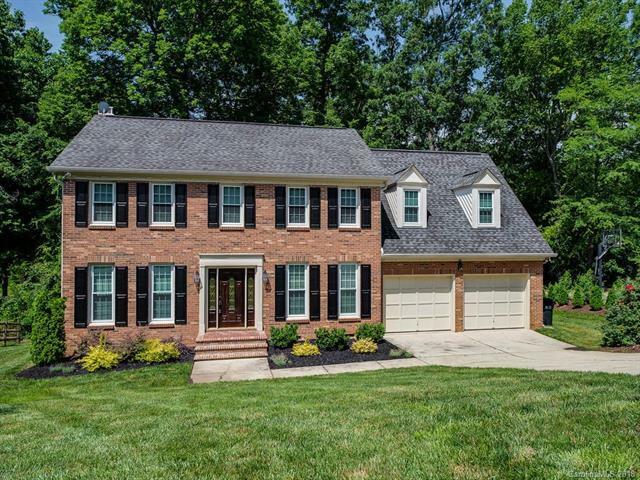 Welcome home to this brick trad 2sty located in South Charlotte. Located at Stonecrest, Raintree and Tom Short Rd. 4 br 2.5 bath home in Williamsburg South. Updates include designer paint colors, glass tile backsplash in kitchen, granite, wainscoting on stairway, hardwoods on main recently refinished, new door hardware and lighting updates. Newer water heater (2016), roof (2005) Windows (2009). Shaded Screened porch and deck. Open kitchen with large breakfast area, mud room off kitchen and master has two closets and a soaking tub! Park like setting with large trees backing to a creek. Stone surround firepit in back yard and a great play set.Conveniently located just off Rea Rd within minutes of I-485 and tons of restaurants,shopping at Stonecrest, Waverly,Blakeney and Providence Promenade. Just a couple of miles from the New Lifetime Fitness and to updated Blakeney Racquet Club. Offered by Choice Properties Llc. Copyright 2019 Carolina Multiple Listing Services. All rights reserved.